HUMANS HAVE THE POTENTIAL AND POWER TO CREATE MODIFIED AND NEW LIFEFORMS!!! Not only do humans now have the power to modify biological organisms but they can actually invent new lifeforms with unique properties which can be passed on from one generation to the next. In the future not only will humans be able to modify themselves but will be able to create new human lifeforms. There are many ethical questions which arise. Who will control this creation process and who will be responsible for the potential bad side effects of these efforts. Is it even possible that these new creations will lead to the extinction of humans as we have known them? GMO’s in our food will alter the DNA of future human offspring and can we reverse the potential bad side effects of this consumption if it leads to long duration ill health and death? 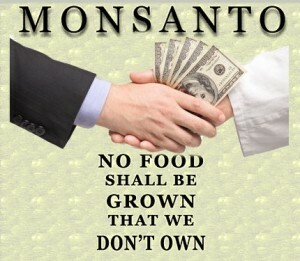 Greed for money is frequently the primary driving force behind creating food which grows quickly, grows large, needs the least amount of food or fertilizer, has a longer shelf life, and is resistant to pests and disease and even unnatural chemicals such as herbicides and pesticides. Pollinating bees are not pests and they are being killed by the millions. Should we let greed be the primary motivator for the creation of future genetic species and let big for profit corporations control our genetic destiny? Humans will control the evolution on this planet in a Godlike creative fashion and that is a very scary thought given the horrific history of the human race. Who will control bio engineering, what are the objectives or goals going to be, where will this experimentation take place, and how will tests be conducted before these lifeforms are released into the world at large? These are all serious political and scientific questions and we had better start thinking and talking about possible answers to these serious questions. This entry was posted in common sense and tagged bio engineering, common sense, creation, death, GMOs, health, truth on December 15, 2016 by uldissprogis. Organic food is very hard to come by because true organic food means no artificial toxic pesticides, herbicides, fungicides, definitely no GMOs especially bizarre ones with resistance to herbicides and insects and inability to reproduce and survive in the wild, and no artificial fertilizers but only natural compost material gotten from decayed organic matter. It also means using natural pollinators like bees and insects. For millions of years humans have eaten organic food and it is time tested and nutrient dense. Yes, true organic food may have imperfections in appearance with damage from natural worms, insects, and fungus but that is a sign that the food is healthy and nutritious even for insects and microbes. Ideal organic farms should have more than one crop grown and many natural flowers, weeds, bushes, and trees surrounding the property. Crop rotation is also highly recommended. A healthy ecosystem should surround the farmland ensuring healthy crops and food and even some natural wildlife can thrive in the surrounding area. If you are having health problems then chances are great that you do not have enough organic food in your diet and are eating too much overly processed, nutrient poor, and overly sweetened food and drink. The phrase you are what you eat is very true and appropriate and most childhood allergies, diabetes, and health problems originate because of a bad diet for the pregnant mother, not being breast fed, and not being fed organic food as young children. Health is deteriorating quickly in America and excessive obesity is a growing problem. All mostly due to the fact that humans are no longer eating healthy not overly processed organic food and taking too many metabolically altering chemicals, drugs, and medications like antibiotics prescribed by the medical profession and others available over the counter without a prescription. Toxic chemicals, monoculture agriculture, artificial insemination, and factory farming, is the primary cause of the deteriorating healthiness of the food and drink. Over processing the food and drink is no great help either. It will take much money and time to reverse the insanity of the American food system but it has to be done before medical care will bankrupt an already sick economy. Add to this major problem the pill popping philosophy of medicine and a truly healthy average American will soon become a rarity. Support organic food with your dollars and get the government to pass legislation which will not tax the organic food industry and let it thrive and begin to prosper again for a healthy future for all!!!!!! This entry was posted in common sense, education, science, society and tagged common sense, compost, education, fungicides, GMOs, herbicides, organic food, pesticides, science, society, the truth about organic food on January 22, 2015 by uldissprogis.